One of the most versatile pieces of recovery kit. Couple with a pulley block or two and a length of synthetic rope, to extend, it can do a lot (obviously the synthetic won’t work in the winch). 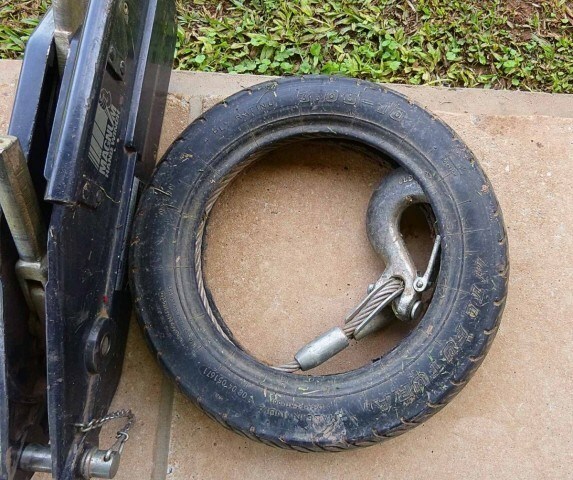 I don’t remember where or when I got the idea to store the hand winch wire in an old motorbike tyre but it was a great find. Been doing it now for many, many years. Thanks to the person who came up with the idea.